A former Waymo staffer allegedly downloaded sensitive files from the company. The road to develop self-driving cars might be paved with lawsuits. Waymo, a spin-off from Google’s self-driving car initiative, is suing Uber for allegedly stealing its trade secrets. On Thursday, it filed a lawsuit against Uber and its startup Otto—a self-driving trucking company—claiming that the two companies were using stolen intellectual property from Waymo, an Alphabet subsidiary. The lawsuit underscores the fierce competition in the self-driving industry and how the battle might escalate. By lifting the technology, Uber has allegedly built its own comparable LiDAR system within nine months, when Waymo had been developing the tech for nearly seven years, the company alleged. “Fair competition spurs new technical innovation, but what has happened here is not fair competition,” Waymo said in its lawsuit. Otto, which was bought by Uber last year, was co-founded by a former Waymo staffer named Anthony Levandowski, who now leads Uber’s driverless car division. However, before he left, Levandowski allegedly downloaded “over 14,000 highly confidential and proprietary design files” from his former company back in December 2015, Waymo alleged. Among the files were designs for Waymo’s LiDAR (Light Detection and Ranging) system and circuit board, which is a key technology that helps self-driving cars map their surroundings. Waymo later discovered from a supplier that Uber’s own LiDAR circuit board “bore a striking resemblance” to its own. Other former Waymo employees who left for Uber and Otto were also found downloading sensitive files too, Waymo alleged. “We believe these actions were part of a concerted plan to steal Waymo’s trade secrets and intellectual property,” the company said in a blog post explaining the lawsuit. On Thursday, Uber responded. “We take the allegations made against Otto and Uber employees seriously and we will review this matter carefully,” the company said. Waymo’s lawsuit also alleged that Uber is infringing its patents. 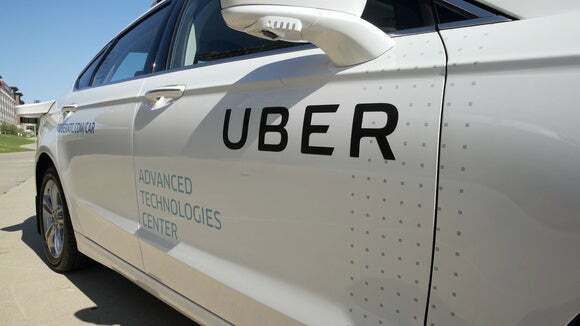 The company is seeking an unnamed sum in damages and an injunction against Uber, preventing it from engaging in other acts of unfair competition. “Hundreds of Waymo engineers have spent thousands of hours, and our company has invested millions of dollars, to design a highly specialized and unique LiDAR system,” the company said in its blog post.